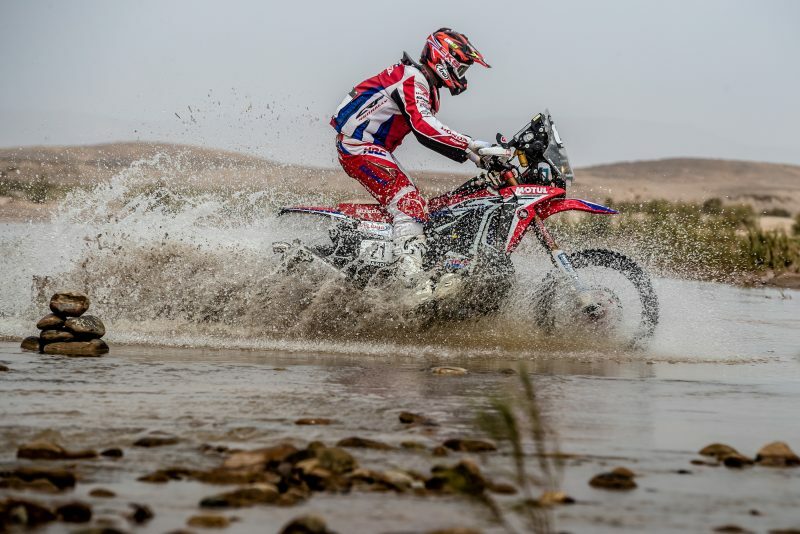 Portuguese Team HRC rider Paulo Gonçalves clinched the stage victory today in the Morocco Rally and with it the overall race leadership. 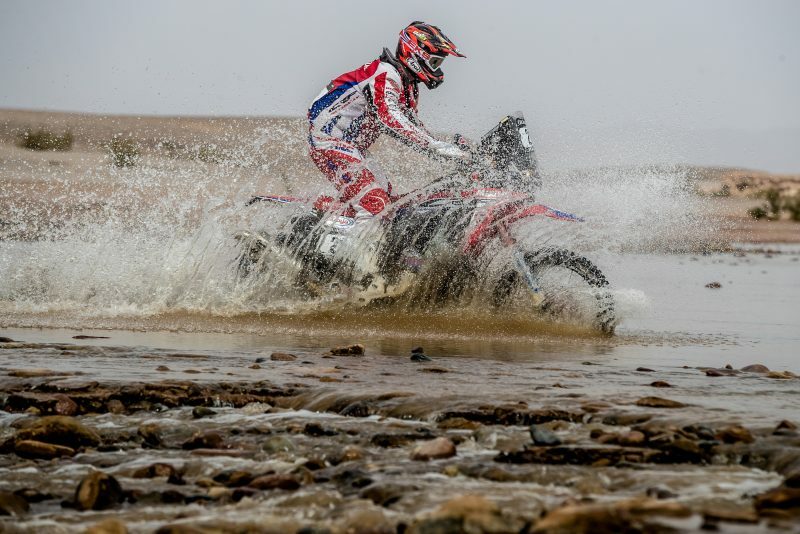 Teammate Ricky Brabec added to the celebrations with a second place – a personal best for the American in the Cross-Country Rally World Championship. The 291 kilometre stage today – the first part of the marathon stage – was modified due to the Moroccan Army stopping – for no apparent reason – various riders including Team HRC’s Argentinean young gun Kevin Benavides. Race authorities decided that, for all the competitors, the stage should begin from CP1, 105 kilometres into the special stage. 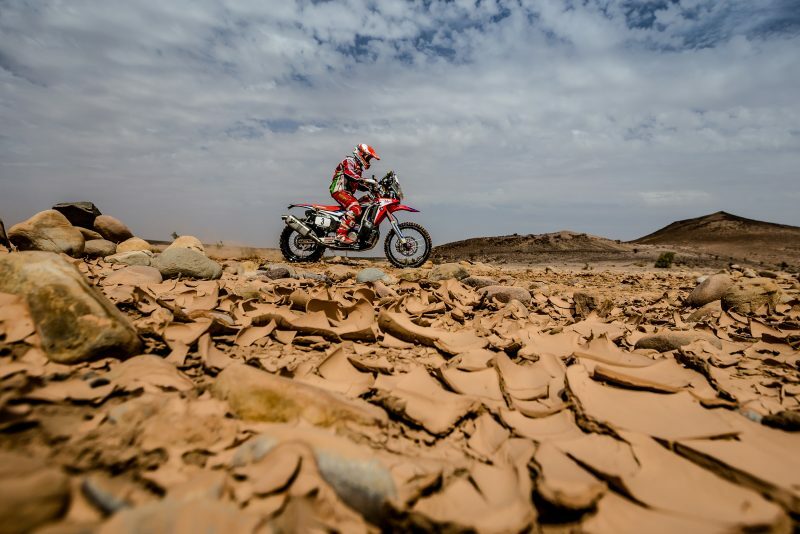 What remained were 186 kilometres against the clock, with a final stretch over the dunes before the stage finished back at the camp in M’Hamid. 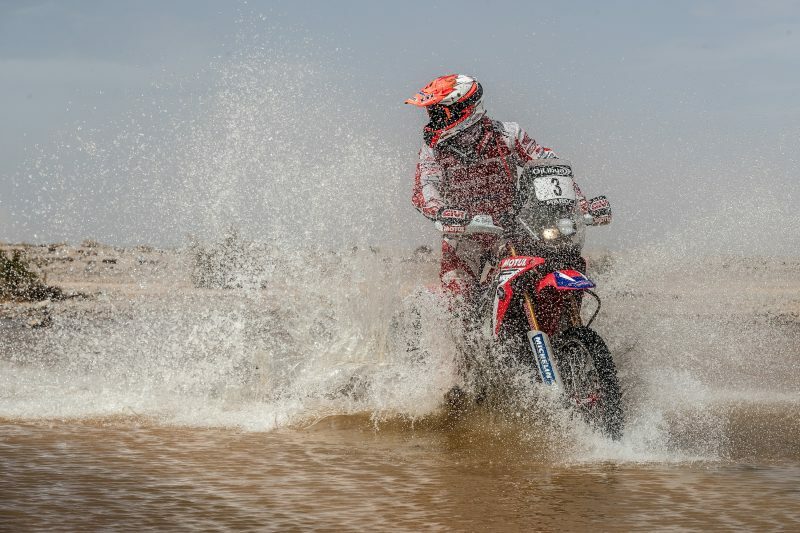 Paulo Gonçalves, who got off to a flying start from the new relocated race-start proceeded to whittle away seconds from the riders ahead. 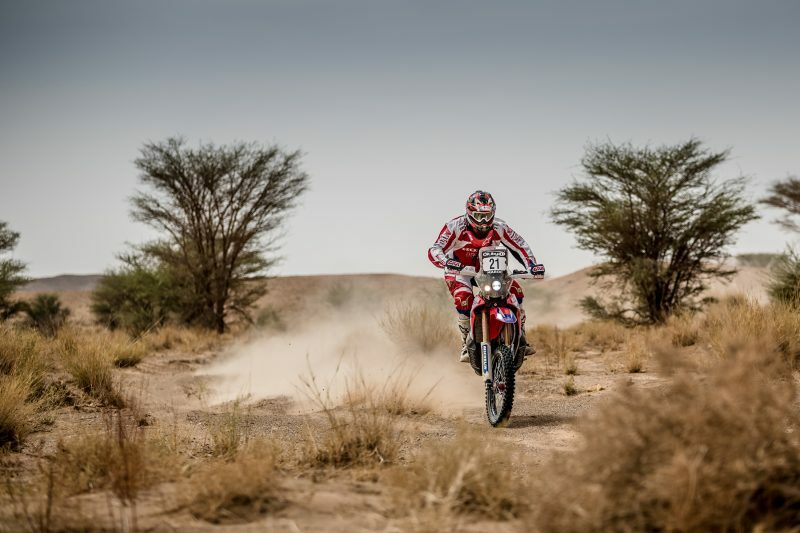 Paulo arrived at the final destination at the foot of the dunes near M’Hamid with the day’s fastest time. 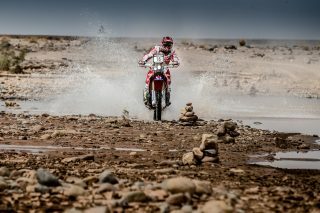 Gonçalves checked over the Honda CRF450 RALLY and has verified that the bike is in good shape to attack tomorrow. 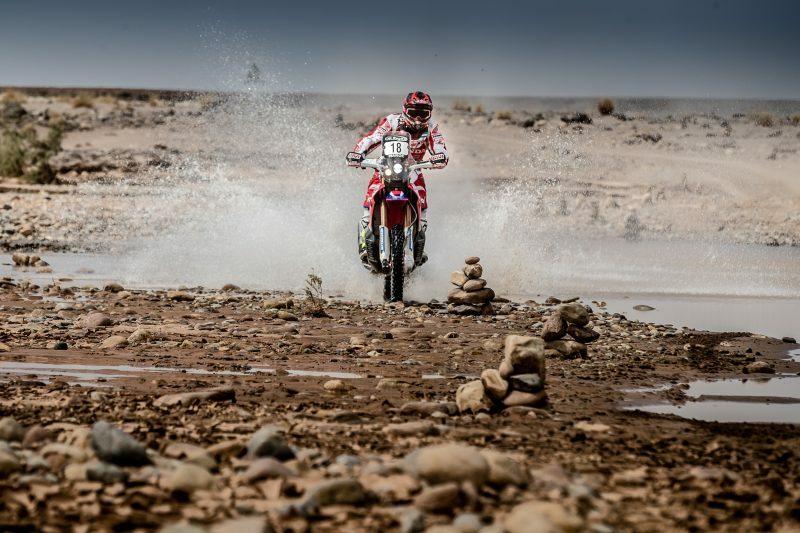 Tomorrow sees the second leg of the marathon stage with no outside mechanical assistance being allowed overnight. Ricky Brabec was on fire today. 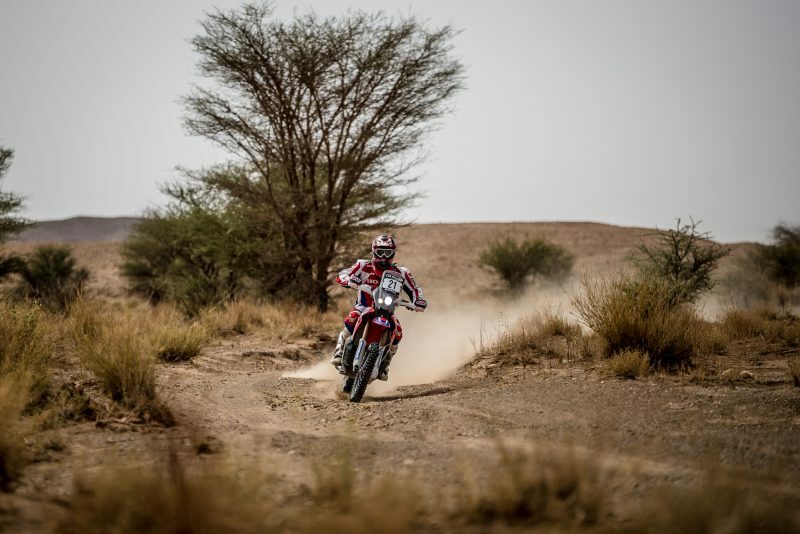 The American who started out ahead of his Portuguese teammate Goncalves finished 2’25 behind him to post the first one-two for the Honda CRF450 RALLY in the OiLibya Morocco Rally 2016 so far. 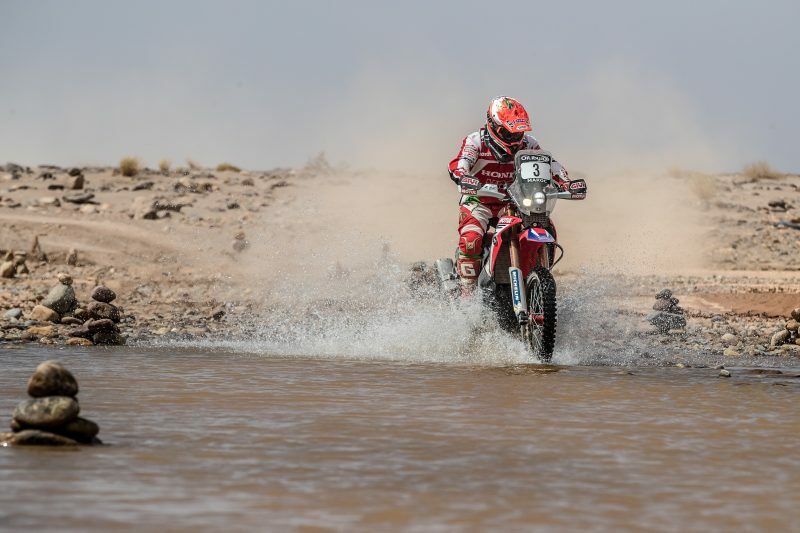 Argentine rider Kevin Benavides set off from second place today, after yesterday’s fine result, but had a troublesome start to the day. 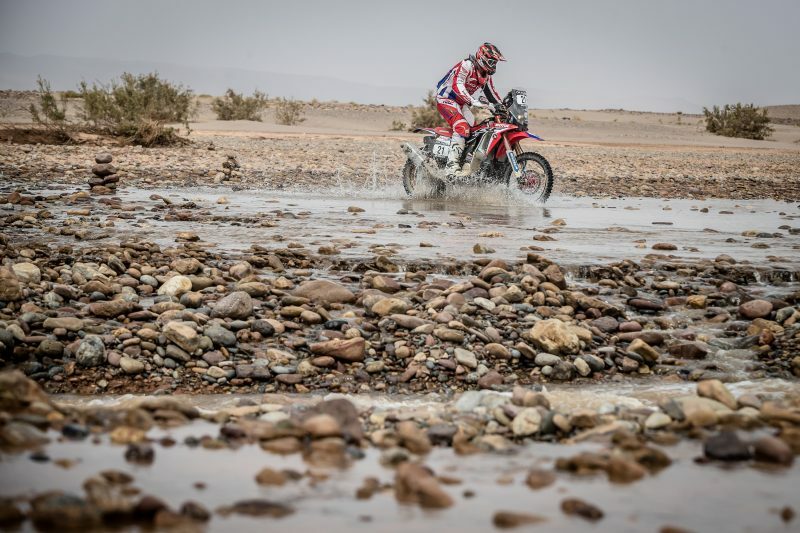 Fortunately he was able to get a grip on the situation and get back into the race to take sixth place in the stage. Today’s time could be modified after this press release has been sent. 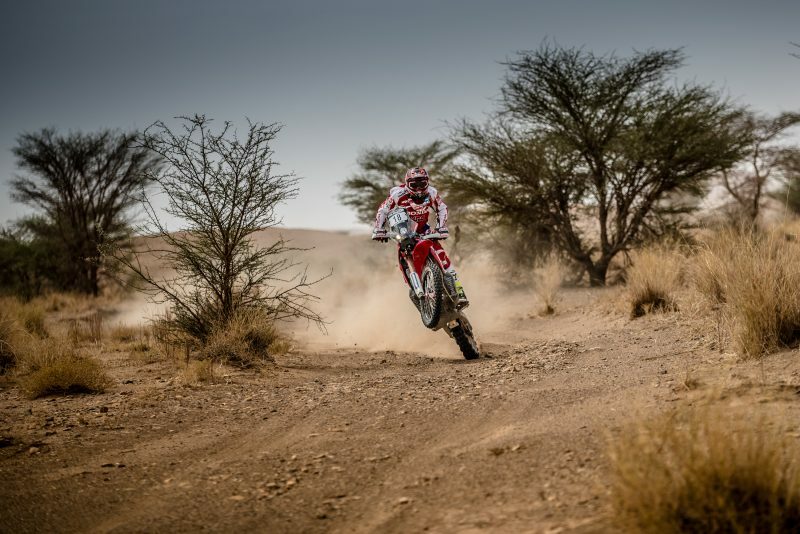 Tomorrow, Wednesday, riders will have to weather a tough stage with over 80% of the total trajectory against the clock. 315 kilometres of the total 390 will be timed on the route that will take the competitors to the bivouac in Erfoud. 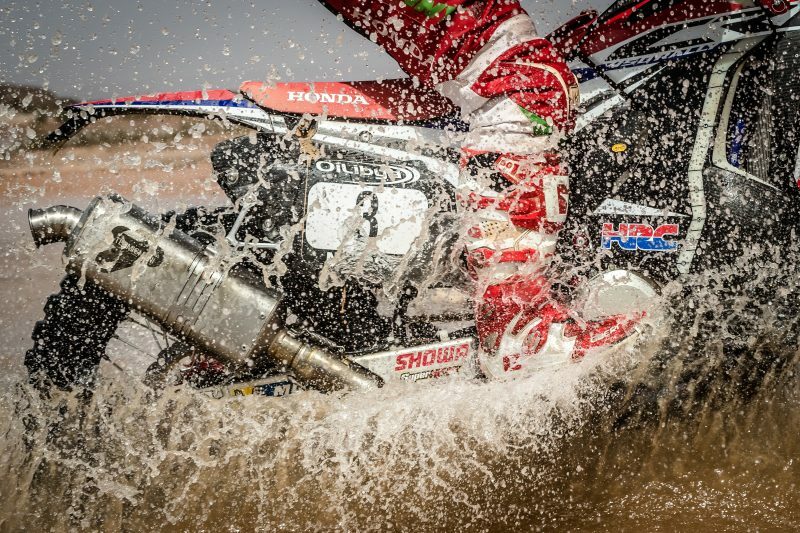 Today was a really, really hard stage. 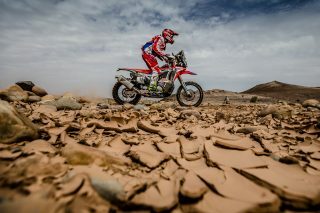 I had a good starting position for the 300 kilometres of track with a lot of rocks and various hazards near the start. 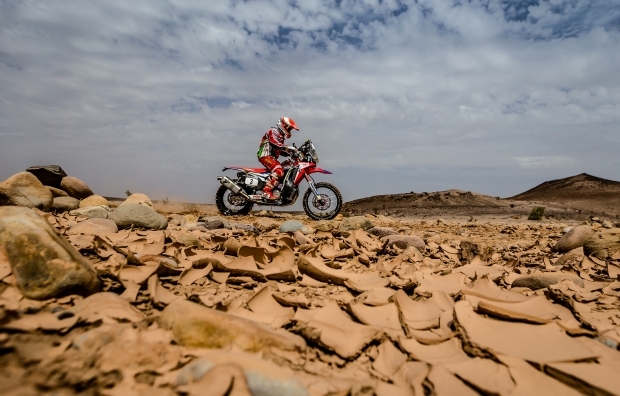 In the final 40 kilometres we came up against some difficult dunes with very hard navigation. 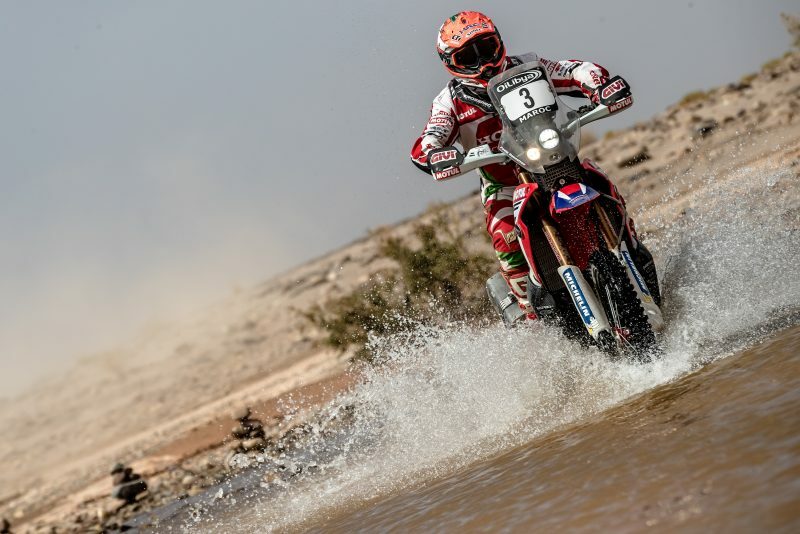 We are happy because we have made it without any mechanical problems for the first part of the marathon stage. Tomorrow we will try and get away as well as possible. It has been a very good day. I don’t know if it was the best ever but it has been really positive for me. I attacked hard and felt pretty good. I think that I really am on the right path. 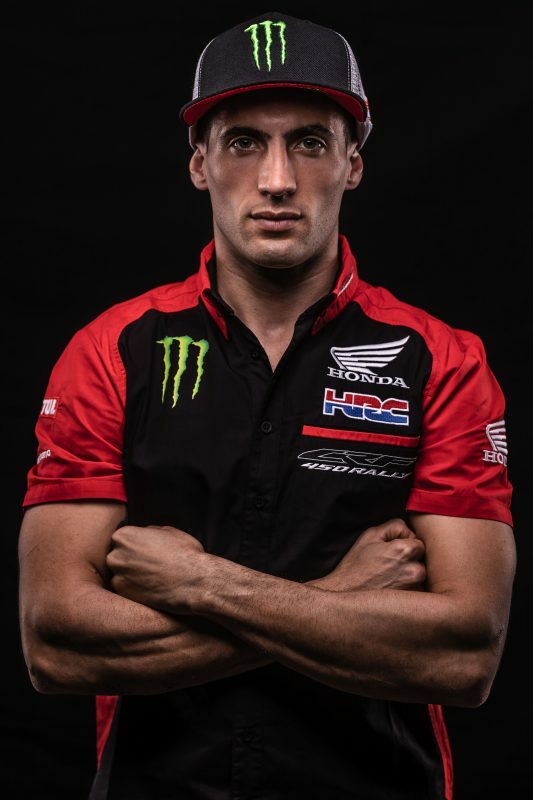 Once I was taking the stage to learn, now it’s time to race. Let’s see if I can get a good result out here. 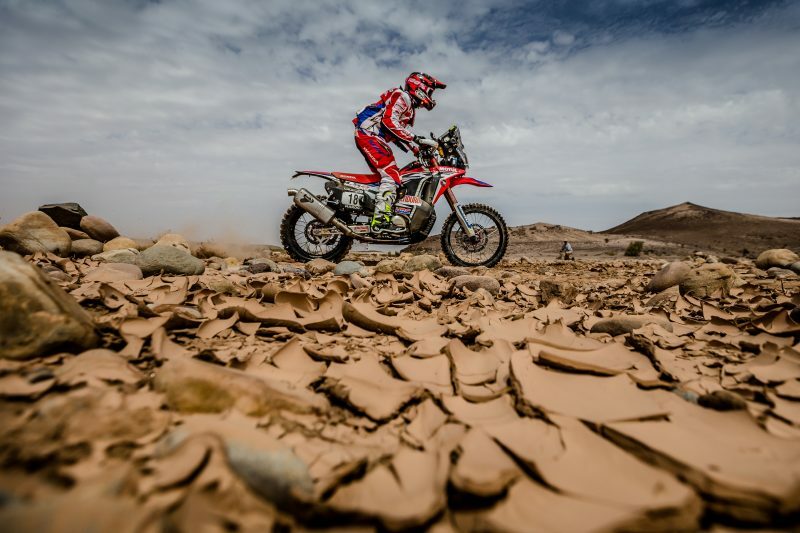 Today the stage was a tough one with a lot of rocky terrain at the beginning and dunes with navigation that was far from easy. But here I am at the target of the day and a great result. I’m pleased! In the end it wasn’t such a bad day, because the day got off to a terrible start. I’m quite annoyed about what happened this morning. Soldiers from the army stopped Sam and I and held us, then let us go after we had lost time. I couldn’t believe it. It put me off quite a bit, but I think that in the end they will give me back the time and change the classification. I could have been able to catch up with Toby but they made me lose my rhythm. As far as everything else went it was fine. 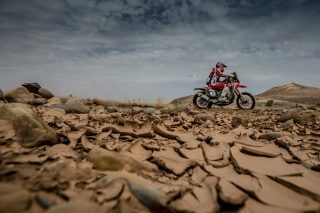 The bike has been perfect and tomorrow we will have to attack to try and make up for some of the time lost today. 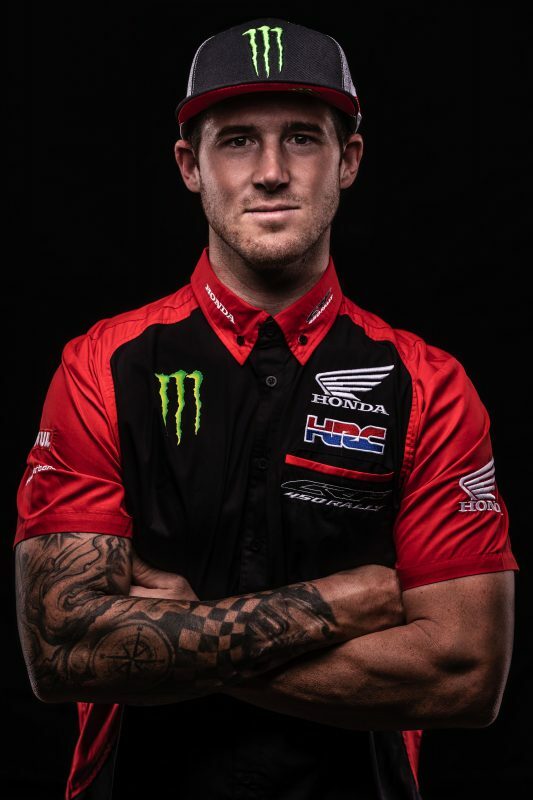 Today was a good race for Team HRC. 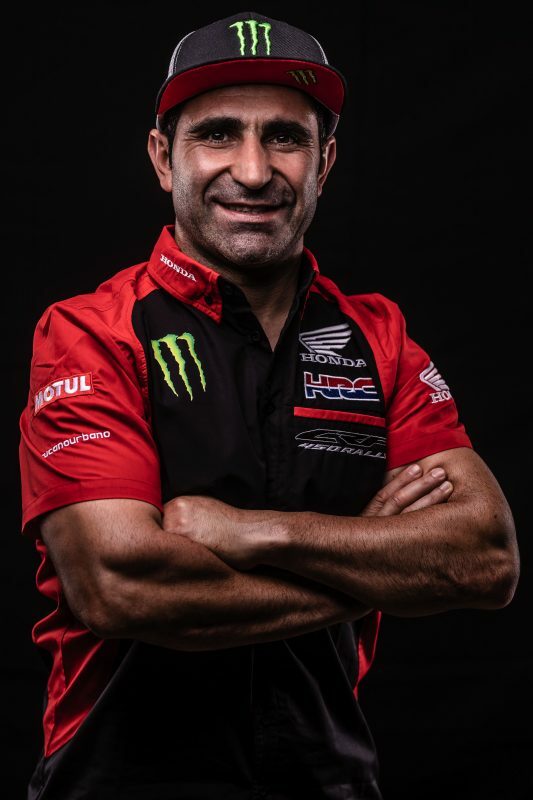 Congratulations to Paulo for a great win today – a great job which sees him take the overall leadership. I shouldn’t forget the great stage that American Ricky Brabec has had today. 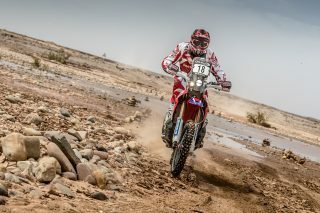 He managed to get his best result since joining the team with today’s second place. Kevin finished well and will have a good starting position to attack from tomorrow. The team is going really well so far, with a good attitude and a lot of motivation. 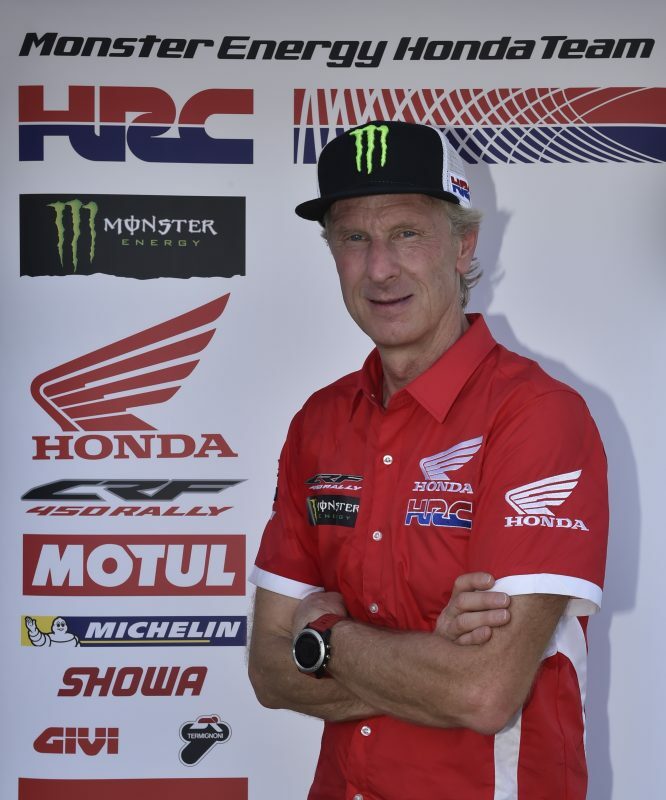 The riders will stay in the camp tonight without mechanical assistance and I wish them all the best for tomorrow.